STEM allows users to create a custom graph using Pajek. '''Pajek''' ([http://vlado.fmf.uni-lj.si/pub/networks/pajek/]) uses a kind of standardized language for describing networks. Some examples might be found here: http://vlado.fmf.uni-lj.si/pub/networks/pajek/testdata.zip. A subset of this language is interpreted by the PajekNetGraphGenerator to import arbitrary graphs into STEM. 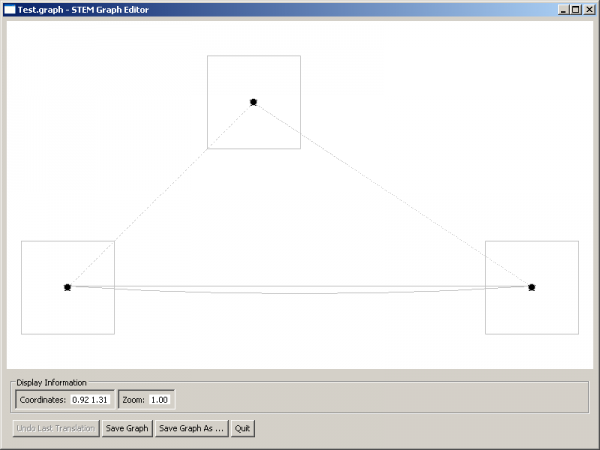 The PajekNetGraphGenerator allows creating user-defined graphs (coordinates and shapes of nodes, type and rates of edges) for STEM and is based on the Pajek format. available in the graph creation dialogue of STEM. Biological Safety of the Federal Institute for Risk Assessment in Germany.